Read the BMW 1 Series hatchback (2004 - ) car review by Auto Trader's motoring experts, covering price, specification, running costs, practicality, safety and how it drives. The BMW 1 Series hatchback stands out from the crowd thanks to its unique styling and rear-wheel drive set up. It offers a compelling driver’s package in this category. The most affordable way into a 1 Series. Great diesel engine and decent options on the best-seller. Extra Sport kit is worth the cash. Interested in buying a BMW 1 Series? 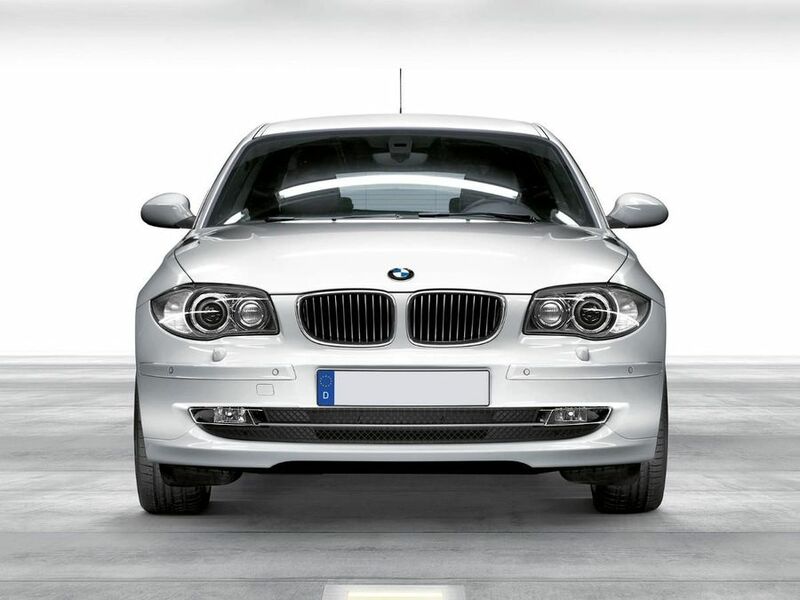 The BMW 1 Series is one of the Munich brand’s bolder cars, design-wise. Its long bonnet and complex mix of concave and convex shapes make this unlike any other hatchback. Opt for the M Sport trim and it receives deeper bumpers, side skirts and 17-inch alloy wheels. No matter which model you choose, there is no more distinctive premium hatchback on the market. Besides its exterior, the BMW 1 Series’ interior is restrained but still classy. Its plastics have a high-quality feel, while the driving position is highly adjustable for all shapes and sizes. All the dials and controls have a well-oiled feeling and fall easily to hand. Overall it feels like a much more expensive car to sit in. Those in the front will find plenty of space for driver and passenger anyone who finds themselves in the back, behind a tall driver, will find it cramped. The boot’s capacity is 330-litres, 20 litres less than the Audi A3 and nearly 70-litres less than the Ford Focus. The on-road advantages offered by rear-wheel drive offset its interior space penalty. As with all BMWs, the 1 Series has a perfect 50:50 weight distribution with the rear wheels driving and the front wheels steering, which makes the 1 Series the must fun to drive in its class. The ride is firm but not uncomfortable and the payoff is very little roll through the corners, while the steering is poised and precise. Pay extra for the M Sport trim get a stiffer suspension and larger wheels which make the ride firmer again. The 2-litre diesel engine in the 118d model tested develops an impressive 143bhp and 221lb/ft of pulling power. It performance is more than on a par with a petrol equivalent. The range also includes the phenomenal 2-litre 123d which will accelerate from 0-62mph in 6.9 seconds and hit 148mph while averaging a claimed 54.3mpg. The petrol models on offer range from a 116i which boast numbers of 10.1 seconds and 127mph to the 130i hot hatch. BMW applies its EfficientDynamics to all models now so the 1 Series gets auto stop and start as standard. Our 118d boasted a claimed average fuel consumption of 62.9mpg but after test-driving it for a week we were achieving just under 45mpg. The fuel economy for the range goes from 64.2mpg for the 116d to 54.3mpg for the 123d. The 116d and 118d cost just £35 to tax while the 120d and 123d are both £120. The petrols are thirstier but still respectable –the 116i, 118i and 130i averaging 48.7mpg, 47.9mpg and 34mpg respectively. Insurance groups range from 10 – 17. BMWs are generally rock-solid and there have been no horror stories to report since it went on sale in 2004. BMW has been cleaning up on the awards front when it comes to engines recently, while everything felt sturdy and well built. All models come with six airbags and run-flat tyres which have a puncture warning system. In the EuroNCAP crash test programme, the 1 Series was awarded the full five stars for adult occupancy and three out of four stars for child occupancy. While good, it falls slightly short of rivals such as the Golf, Focus and Renault Megane. The 1 Series also gets BMW’s Dynamic Stability Control (DSC) which consists of anti-lock brakes, cornering brake control, traction control and electronic brake distribution. BMWs are never the best-equipped cars and the 1 Series is no different. On top of the safety features the entry-level 1 Series gets just electric windows, central locking and a CD player. Upgrade to ES trim and the 1 gains air-conditioning with SE adding two-zone air-con, parking sensors and a steering wheel with controls. The 123d SE has a few sportier exterior bits while M Sport models get a slightly different bodykit and uprated wheels. While standard equipment is poor, as with all Beemers, there’s no shortage of expensive option extras. It’s a hatchback, its rear-wheel drive, it’s a BMW – for some that’s everything you need.